Your order has been submitted successfully. We'll be in touch within 48 hours to confirm your order and send your invoice. 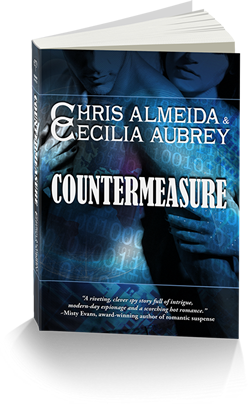 A signed and personalized copy of Chris Almeida and Cecilia Aubrey's COUNTERMEASURE. This is a Trade Paperback book. Please read our FAQ before ordering and contact us if you have any questions before the order is placed! Countermeasure is The TBR Pile's 2012 Book of the Year. WARNING: Contains scenes of mature subject matter, graphic situations and language. Reader discretion is advised. In the first book of the COUNTERMEASURE SERIES, Trevor Bauer, an NSA analyst, is searching for answers to the mystery surrounding his parents' disappearance when he crosses paths with Cassandra James, an ex-CIA operative with a big chip on her shoulder. By a stroke of luck, he becomes the key to her own mission while she becomes the center of his attention. 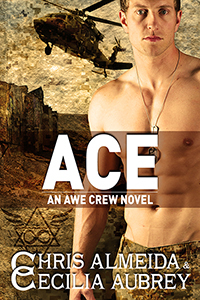 Fighting an attraction as intense as their overwhelming instinct to keep each other at bay, together, they embark on a harrowing adventure that leads them across the ocean and into a world of intrigue and danger they had never foreseen. When faced with death defying choices, will they learn to trust their own instincts and each other to survive?